Breathwork is taking the main stage in the healing world and for good reason. This three stage active breathing meditation yields a transcendental experience and helps to remove emotional, mental and physical blockages. This particular breathwork process is known to heal chronic physical issues, open pathways for profound intuitive insight and release unconscious limitation or stuck energy. Although each experience is unique, participants usually leave feeling embodied, deeply connected to themselves and at peace. By voluntarily stimulating our involuntary nervous system, we force the ‘reptile’ brain to click off and the body is free to heal and release stuck trauma. By moving an increased level oxygen up to our hypothalamus, pituitary and pineal gland we’re able to access higher states of consciousness. 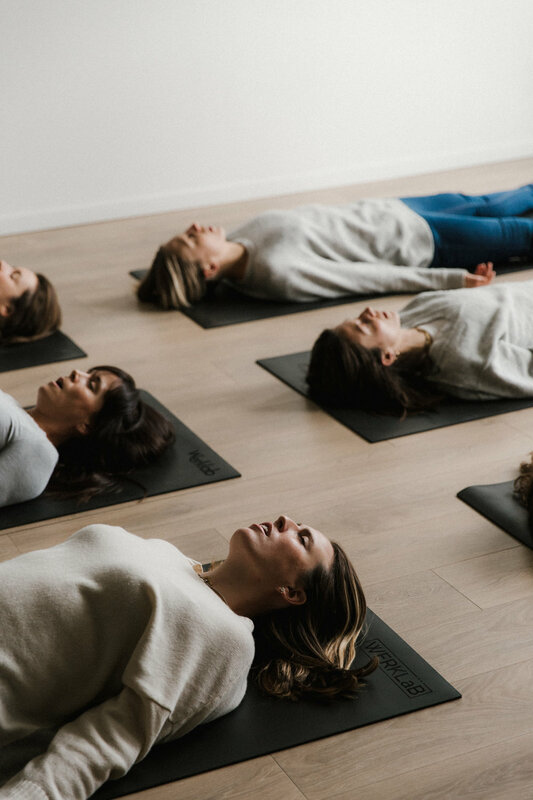 Certified in leading breathwork classes and with over a decade of experience teaching and working as a medium, Bree facilitates massive change within her group sessions. She uses her intuitive connection to guide participants to release deep unconscious beliefs and blockages so that they can truly connect and communicate with their soul. Through Bree’s psychic insight and experience with working with thousands of clients, she supports participants in creating profound healing and intuitive insight. Classes are widely themed and can be catered to any group. Bree has been facilitating spiritual and personal development for over 10 years. Her mastery lies within getting people ‘unstuck’ and tapped in to innate intuition with concise psychological techniques and insight as a medium and healer. Every question I’ve ever had about my life was answered during that session. This particular breathing pattern voluntarily stimulates the autonomic and parasympathetic nervous system. It also influences the ratio between oxygen and carbon dioxide (lessening C02 and increasing 02) which stimulates the vagus nerve. When stimulated, the vagus nerve instructs the body and brain to relax, the heart rate slows and becomes regular and the blood pressure decreases. So we’re working through both neurobiological and psychological mechanisms, forcing the ‘reptile’ brain to eventually click off and almost forcing a state of total calmness and environment for healing to take place. On a cellular level we’re activating the organs of the cells that are responsible for releasing and transferring energy. The increased oxygen works through the blood system and up to the brain, also stimulating the hypothalamus gland which is the link to the nervous system and the endocrine system via the pituitary gland. What I believe is also happening is that we’re stimulating the pineal gland. (This is just coming from your spiritual medium here.) The pineal gland is known as the ‘third eye’ linking the spiritual and physical worlds; a source point for ethereal energy. This is what I believes really ‘lifts the veil’ for you to connect with your soul, the other side and universal intelligence. interested in booking bree for your event?